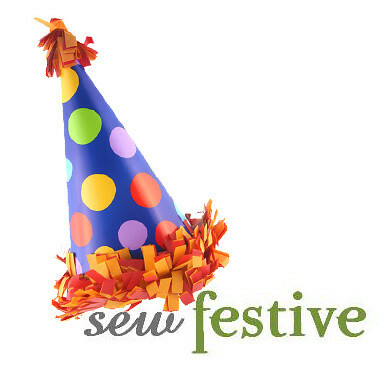 Sew Festive Handmade: Birthday-palooza Extravaganza with Shenanigans! *Um, there's still no pictures on yesterday's Schoolhouse Tunic post. Ask me how much I love technology. Trying to get my camera sorted out. Please don't give up on me just yet! Ok ok, so the title of this post makes it sound like there's a marching band or something. Which maybe there is over here on my end! This little blog is one year old as of last Friday! Taught myself everything I know about quilting...I've never taken a class nor was I taught to sew by my mom/grandma/etc. I've soaked it all up through blogs and a lot of trial and error [mostly error]! Thanks, guys! I'm pretty proud of what I've accomplished so far with this little random venture of mine and pretty excited to see where I have yet to go on this journey. I love having a useful hobby that isn't common among my friends. I love having a place online to connect with people who get it. If this is something you're interested in, please leave a comment on this post by 12 pm EST Friday October 26th and I will randomly choose a winner. Open to anyone in the world. Well sure, I'm interested! Happy blog birthday. You have accomplished so much! Congratulations on how much you have accomplished. That is quite a list. Can't wait to see what happens in the next year! Congratulations (I celebrated my 2nd yr today) and good luck to many more. Congrats on a year! I recently found your blog and am looking forward to seeing what you come up with next! Happy blog anniversary! Your list of accomplishments is impressive and inspiring and I can't wait to see more to come! Wooo! Congrats! It's been an awesome quilty year for you - here's to many more :) (I also always get those looks about "why is that 22 year old quilting?") I would be PSYCHED to win a mini quilt from you! Congrats on your one year! I assure you you've accomplished more in a year than I will in ten, but so it goes! I've loved reading your blog. I didn't realize you were entirely self-taught-- just tonight I encouraged an acquaintance that "knew I quilted a bit" and who wanted to try making a quilt for her forthcoming godson. I sent her all of the great online and book resources I know! I'll have to be sure to point her to your blog as evidence that yes, she can teach herself with great success! WOW, that's a LOT, and in just a year! Happy Blogiversary! I'm interested (and intrigued)! You have been busy! Sounds like an exciting year though :) A mini would be fun! Wow! I wish I could say I have done 1/4 of that! Congratulations! Congratulations! Making a list of what's been accomplished is such a good idea - we often forget and get overwhelmed by what isn't done. So good for you!! Congratulations on your first blogiversary, you have been busy! Wishing you many more fruitful years of stitching. Happy one year!! Mine was last week I think and I totally bonked on doing some post about it. 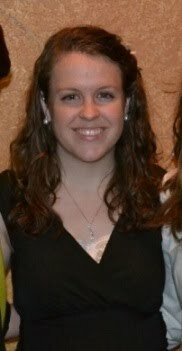 I don't understand why young twenty somethings being quilters is strange - I get the same looks! Happy one year blog-day! Looking forward to more of your posts! Congrats on your Blogiversary!! You've accomplished so much I'm totally jealous. Wishing you many happy blog posts ahead. And yes I love mini-quilts. Congratulations on all your accomplishments! I would love a mini quilt made by you! I would love a mini quilt made by you! Congratulations Rebecca! You've gotten so much done in one year-- it's truly amazing! that is an amazingly impressive list for one year!!! I started teaching myself how to quilt this year and you're one of the first blogs I followed!